Taxonomy is the arrangement and classification of animals based on both their similarities and their differences. In this way, it is comparable to looking at your own family tree. Your siblings are very closely related to you so, along with your parents, this group forms one distinct part of the family tree. Your cousins are part of their own immediate family, more closely related to their siblings than to you. A little further away still are second cousins, third cousins, and so on. The entire collection of cousins, aunts, uncles, etc. form a distinct family. The same arrangement holds true for birds. Species which are closely related to each other form distinct taxonomic groups called genera. Several genera which are related to each other will form a family. The class Aves includes all species which you would recognize as birds, which means those animals which not only have a spinal cord and a true backbone but also have a skin which possesses the one structure which distinguishes birds from all other animals: feathers. The taxonomic classification structure below the class Aves serves to organize all of the birds into groups based, as mentioned previously, on the similarities and differences between groups of birds. The hierarchy below the class Aves is organized as follows: the class is divided into orders; the orders are divided into families; the families are divided into genera; and the genera are composed of distinct species. There are 29 orders of birds but this figure is being revised as more research is done in bird biology and the relationship between groupings of similar birds is becoming better understood. For example, until recently, the order Struthioniformes included the Ostrich as well as the Rheas, Cassowaries, Emus and Kiwis. (All order names end in the suffix –formes). That order has been changed significantly; Struthioniformes includes only the Ostrich while the Rheas are in the order Rheiformes, the Cassowaries and Emus in the order Casuariformes, and the Kiwis in the order Dinornithiformes. The main reason for significant changes in the classification of birds, even though they are the most studied animal group in the world, is new research using DNA analysis, which is better able to determine how closely two species are related than previous methods, which relied on the morphology and anatomy of the birds. 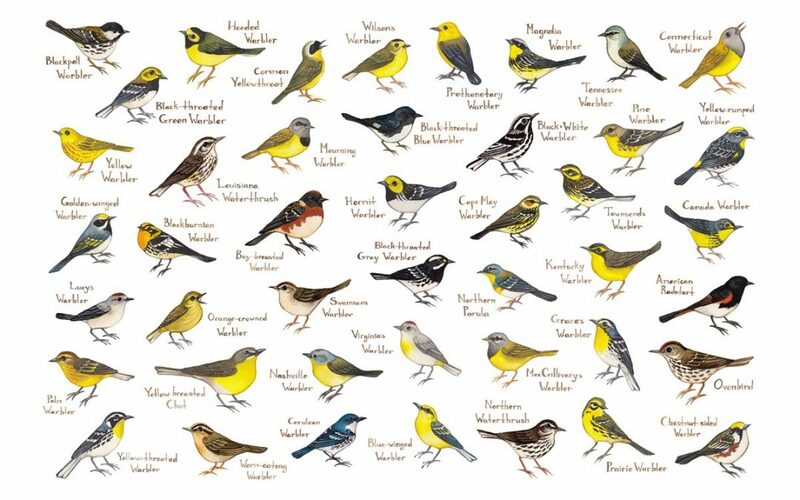 The 29 orders of birds is divided into 233 families, 83 of which have species which occur in North America. As with the bird orders, the number and composition of bird families is always changing as more research is being done on the relationship between the various birds. For instance, until recently the family Laridae (all family names end with the suffix –dae) included all species of Gulls, Terns, Skuas, Jaegers and Skimmers. Now that family has been sub-divided into four distinct families: the Gulls (Laridae), Terns (Sternidae), Skuas and Jaegers (Stercorariidae) and the Skimmers (Rynchopidae). The genus is the main taxonomic division between the family group and individual species. For example, you are a distinct individual and can be distinguished from your cousins. So each of you can be considered a species. The collection of you and your cousins would form a taxonomic unit known as a genus. For example, most of the waterfowl in North America are represented by the 61 species of ducks, geese and swans, which are in the family Anatidae. Within this family are several closely related groupings of birds, like the puddle ducks in the genus Anser, the diving ducks in the genus Aythya, the sea ducks in the genus Melanitta, the mergansers in the genus Mergus, and so on. The species is the most fundamental building block of the entire taxonomic classification system, as all other levels in the taxonomic hierarchy are based on groupings of species. A species is defined as an organism which freely breeds with other, similar organisms and their offspring are fertile and capable of also breeding with the same organisms. At the same time, this species is reproductively isolated from other organisms in that they do not freely interbreed with them. There are indeed instances in which two separate species can produce offspring but those offspring are infertile and not capable of successful breeding. There are currently about 9700 to 9800 separate species of birds on earth but this number is changing as scientists find new species that were previously unknown or they determine that two previously different species are actually two color variations of the same species. Taxonomy is not only a complex science but a dynamic one, where change is constant and arguments between scientists are never-ending. And nowhere is this more true than with the most studied group of organisms on the planet: birds.